Administrative Review is the mechanism used by Entry Clearance Officers in order to review decisions in which applications for entry clearance for the UK under the Points Based System have been refused. The administrative review procedure is not the same as an appeal to the First-tier Tribunal; it provides unsuccessful applicants with a procedure whereby they can request a review of a decision of the Entry Clearance Officer which they believe an error has been made which led to the application being refused. As this is distinct from a statutory appeal to the Tribunal, the procedures involved in an administrative review are less formal; an administrative review is free of charge and an application form will be provided by the Entry Clearance Officer when an application is refused. The applicant has 28 days from the date that the refusal decision was received in order to submit the application for administrative review. Unless the application has been refused with reference to paragraphs 320(7A) (use of false representations or false documents) and/or 320(7B) (previous breach of UK immigration law) no new evidence can be included as part of the administrative review. This is because the reviewer, usually an Entry Clearance Manager who was not involved in making the original decision, will be confined to reviewing the refusal decision with reference to the evidence provided in support of the application. It is very important that full reasons are advanced for making the administrative review because, unlike an appeal to the Tribunal, there is no hearing at which oral submissions can be made. Having received a fully completed application, the reviewer will consider whether points have been correctly awarded, whether documents have been correctly assessed and whether verification checks have been properly carried out. Failed to give reasons or adequate reasons for refusing entry clearance. In this instance it is likely that a new refusal notice will be served giving a full explanation for the refusal (it may be possible to apply for an administrative review of the new grounds for refusal). The Home Office states that they aim to complete their review of the decision within 28 days from the date they receive the administrative review request. Between April and December 2013 21% of administrative reviews resulted in the original decision being overturned with 93% of reviews being completed within 28 days from the date of receipt of the administrative review. 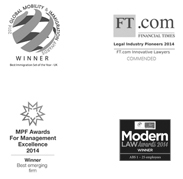 How can Richmond Chambers LLP help? At Richmond Chambers LLP we are able to offer professional legal advice on the refusal of an application for entry clearance. If a mistake has been made by the Entry Clearance Officer in refusing the application, our immigration barristers will be able to help you draft expert legal submissions in support of an application for administrative review. The legal submissions will explain why the decision of the Entry Clearance Officer should be overturned with reference to the documents provided in support of the application for entry clearance. If you have been refused entry clearance for the UK and are considering applying for an administrative review then please contact our immigration barristers in Covent Garden, London, on 0203 617 9173 or email info@richmondchambers.com for further assistance.